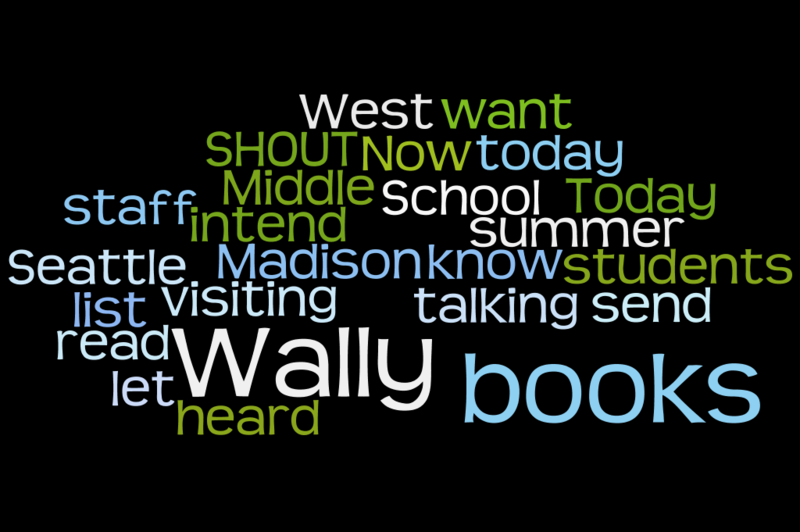 Today Wally from West Seattle and Cheresse from Southwest are visiting Madison Middle School, so we want to send a SHOUT OUT to all the students and staff there today. Wally will be talking about the books on this list. You’ll find Cheresse’s list of books here. Ken’s list of books is here. Now that you’ve heard about them, let us know, which of these books do YOU intend to read this summer? This entry was posted in Community, School News, Summer Reading Program, Tidbits and tagged books, Community, Event, Librarian, Madison MS, school visit, summer reading, Summer Reading Program, West Seattle on June 3, 2013 by pushtotalkteens. Each year librarians from The Seattle Public Library visit local schools to talk about our summer reading program (coming June 3!) and a hand picked selection of fun summer reads. Today Wally is visiting West Seattle High School, so we want to send a SHOUT OUT to all the students and staff there today. Wally will be talking about the books on this list. Now that you’ve heard about them, let us know, what do YOU intend to read this summer? This entry was posted in Community, School News, Summer Reading Program, Tidbits and tagged books, Community, Event, Librarian, school visit, summer reading, Summer Reading Program, West Seattle on May 31, 2013 by pushtotalkteens. 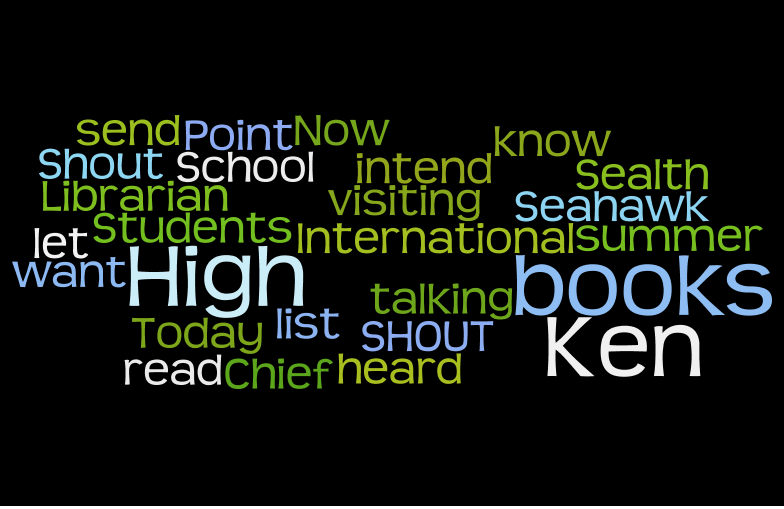 Today Ken from High Point is visiting Chief Sealth International High School, so we want to send a SHOUT OUT to Shout out to Seahawk Students, Librarian Ms Hubert, staff including Ms Luiz, Secretaries Ms Sanchez and Ms Hernandez in the school office! Ken will be talking about the books on this list. Now that you’ve heard about them, let us know, which of these books do YOU intend to read this summer? This entry was posted in Community, School News, Summer Reading Program, Tidbits and tagged books, Community, Event, Librarian, school visit, summer reading, Summer Reading Program, West Seattle on May 20, 2013 by pushtotalkteens. 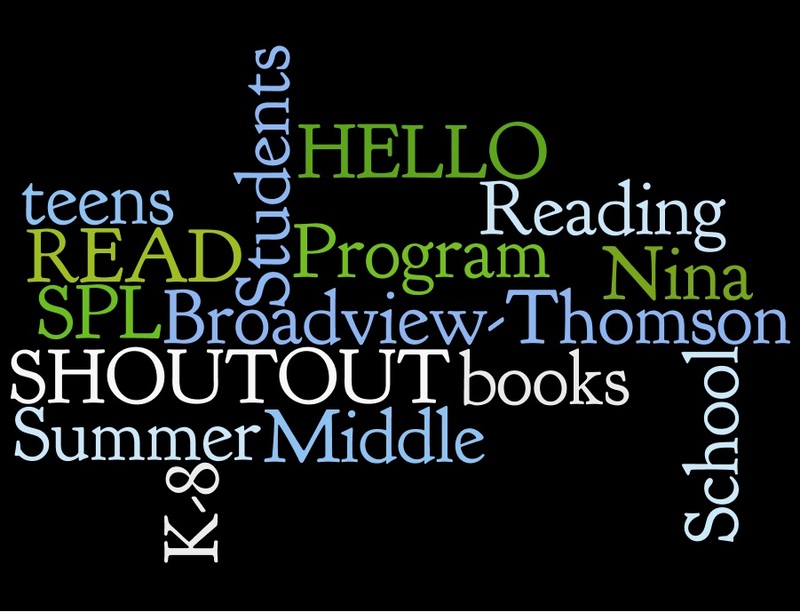 Today Nina from Broadview is visiting sixth, seventh, and 8th grade students at Broadview – Thomson K-8 School , so we want to send a SHOUT OUT to all the students and staff there today. Nina will be talking about the books on this list. Now that you’ve heard about them, let us know, which of these books do YOU intend to read this summer? This entry was posted in Community, School News, Summer Reading Program, Tidbits and tagged books, Community, Event, Librarian, school visit, summer reading, Summer Reading Program on May 15, 2013 by pushtotalkteens. 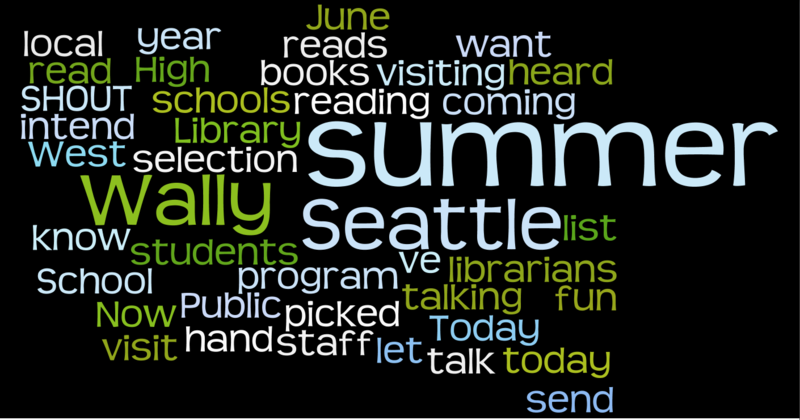 Each year librarians from visit local schools to talk about our summer reading program (coming June 3!) and a hand picked selection of fun summer reads. Today Nina from Broadview is visiting Christ The King Middle School, so we want to send a SHOUT OUT to all the students and staff there today. Nina will be talking about the books on this list. Now that you’ve heard about them, let us know, what do YOU intend to read this summer? This entry was posted in Community, School News, Summer Reading Program, Tidbits and tagged books, Community, Event, Librarian, school visit, summer reading, Summer Reading Program on May 13, 2013 by pushtotalkteens. No, we’re not talking about some sort of supernatural thriller here. 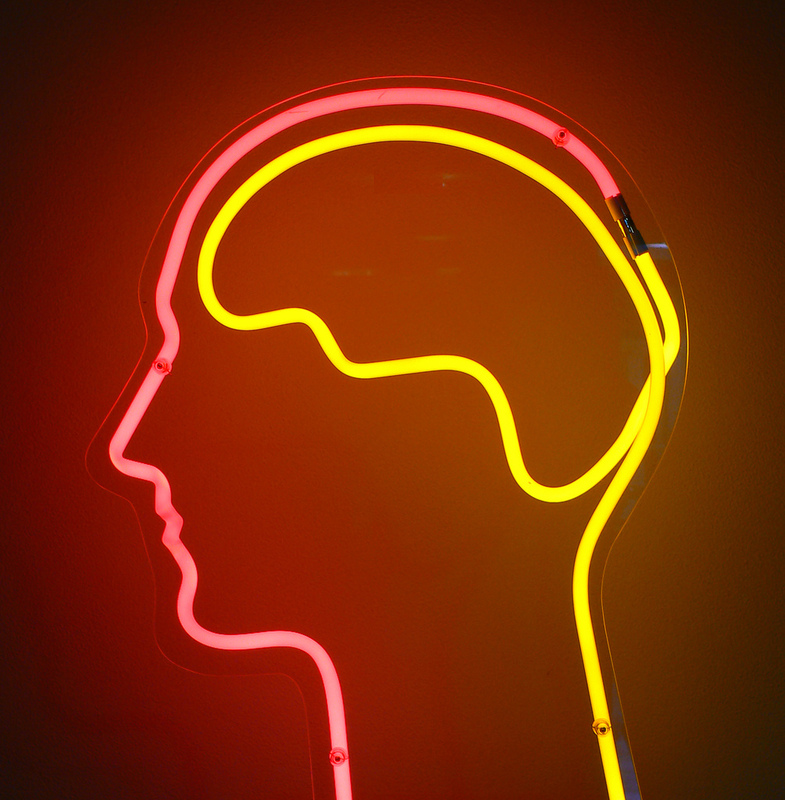 It’s just us, your friendly Push to Talk Editorial Board, and we want to hear your opinions. What is the easiest way to hear from you? Just push the comment button, enlighten us with your thoughts, your ruminations, your opinions, your musings, or whatever else you choose to call them. Seriously, we are dying for some feedback. You might be saying to yourself, “Yeah right, I tried to comment before, and it didn’t work. Why would I try that again?” I have good news for you. The commenting feature is fixed. We were waging a spam war, but the war has been won, and commenting is back. 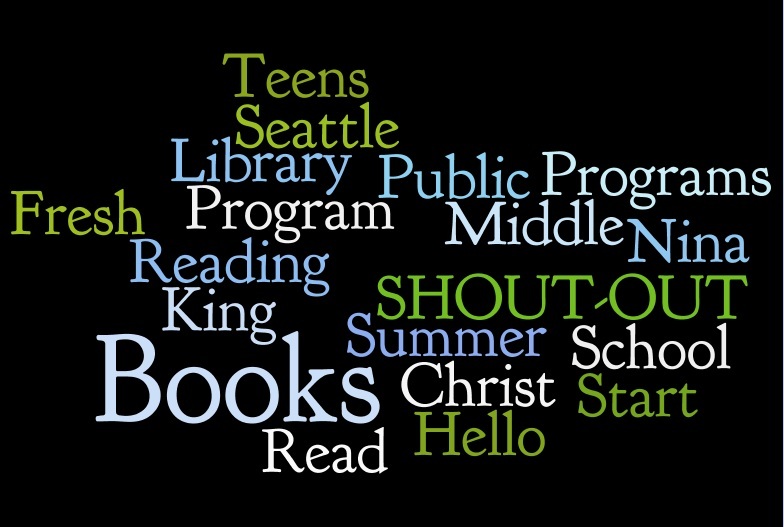 Share what you love about Push to Talk, The Seattle Public Library, books, blogs, life, flowers, cute animals, memes, songs. . . I could go on and on. The question is, will you? This entry was posted in Blog Love, OMG Controversy!, Read This!, Technology and tagged Librarian, Opinions, Spam War, Technology, Writing on May 22, 2012 by pushtotalkteens.